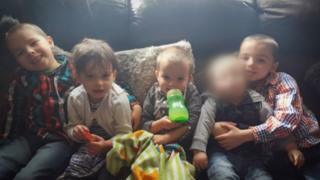 Two people arrested over the deaths of four children in a house fire continue to be questioned by detectives, police have said. The woman, 24, and a man, 28, were arrested at about 13:30 GMT on Friday on suspicion of manslaughter by gross negligence after the fire in Stafford. Riley Holt, eight, Keegan Unitt, six, Tilly Rose Unitt, four, and Olly Unitt, three, died in the blaze in Highfields. Staffordshire Police urged people not to speculate on what may have happened. “We are grateful for the community’s ongoing support and patience as the investigation continues,” a force spokesperson said. A fundraising page for the family of the four children has since raised more than £29,500 – with more than 1,800 people donating.